crawlster® tuning systems - crawlster® Außergewöhnliche 4x4 RC-Modellfahrzeuge, hochkarätige 4x4 Unikate und einzigartige Tuning-LenkSysteme. 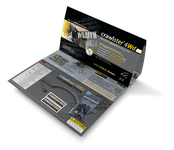 The goal of crawlster® is to optimize the use of original components so that with just a small number of ingenious and easily mounted additional parts, a functional solution, superior to any other on the market, is clearly achieved. 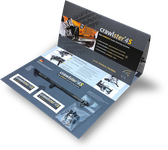 All crawlster®steering systems achieve superior functionality for scale / crawler vehicles using innovative ideas: achieving a perfect steering geometry with a neutral / positive track differential angle (Ackerman). All crawlster®steering system sets can be installed using initially the standard series components (usually plastic), but can later utilise the original aluminum tuning components of the respective manufacturer without any problem (scalability). The standard steering of some of the most common 4x4 crawler scale models have a negative thrust angle (Ackermann) because of their design. In practice this leads to an unfavorable steering performance with constant sliding of the wheel on the outside of the curve. In addition, steering bars in front of the axle tend to reduce the ground clearance and spoil the scale look of model 4x4 vehicles. 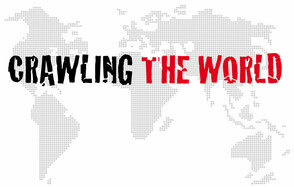 crawlster®steering systems resolve these issues by design-optimized links – the inner wheel now steers correctly i.e. more than the outer one – so the cornering performance and off-road maneuverability is significantly improved – without steering bars in front of the axle. Maximilien / FR - crawlster®D18 " ...I wanted to thank you, thanks to your kit, my little jeep became big! Its behavior is incomparable and the kit gives it a formidable look..."
Marco / DE - crawlster®BTA2-TFL " ...ich wollte mal Danke sagen ...hammertoll..."
Herbert / DE - crawlster®BTA " ...Lenkung ist eingebaut und funktioniert wunderbar!..." Liam / Suffolk-UK - D18-KIT " ...I just wanted to say thank you! The service you have provided has been simply perfect. My kit arrived today, so quickly and so efficient. I have installed it on my 1:18 RC4WD-hybrid and I cannot recommend highly both your service and your product. .."
Jim / Missouri-USA - D18-KIT "I love your product, it gave me almost 2” of flex.."
Hillard / Massachusetts-USA- D18-KIT "... i installed my crawlster kit and its fantastic! !the steering is so much better and the shocks work really well now. great job!!." Andreas / Essen-DE - D18-KIT "...vielen Dank für den sehr schnellen Versand und dieses tolle Kit. Hat alles wunderbar geklappt, sehr gut beschrieben." Jim / Missouri-USA - D18-KIT "...Installed my Crawlster kit and am 100% pleased. It’s exactly what it needed. I’ll definitely recommend your products." Kevin / Delaware-USA - D18-KIT "Everything installed very easily, and with great Improvement." Phill / Arizona-USA - D18-KIT "Thank you so much..I really really appreciate your customer service. It has been great doing business with you and look forward to getting my parts. Keep up the great work." Andrew / Oregon-USA - D18-KIT "...company+products are truly amazing...will definitely be a returning customer!" 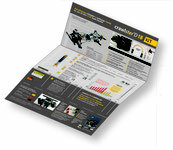 Gery / AT - crawlster®D18-KIT "...hab das Kit heute verbaut. Das ist einfach genial!!" Jan-Ole / Kiel-DE – crawlster®4Wd-VP "...vielen Dank für den super schnellen Versand der crawlster Lenkung. Ich bin sehr begeistert (...) und nochmal vielen Dank für dieses tolle Produkt!" Martin / Holland-NL – crawlster®BTA "...package is in...work and fits super"
Brad / Illinois-USA – crawlster®BTA „…your scx10 system is the BEST !..." © All texts are subject to copyright reprint / distribution only with explicit permission. All rights reserved. This website has been compiled with the utmost care. Nevertheless, no guarantee can be given for the correctness of the information contained. Any liability for damages arising directly or indirectly from the use of this website or the vehicles / systems offered is excluded - unless they are based on intent or gross negligence.